A practice log can really help, especially when your time is limited or if you want to track the progress from each lesson. 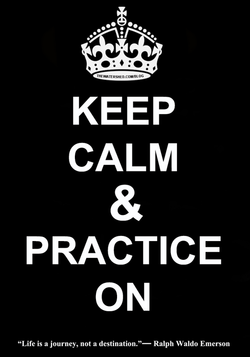 Students who use practice logs find at least twice as much time to practice and progress 2-3x as fast. Attached below is a practice log to document your goals and achievements.